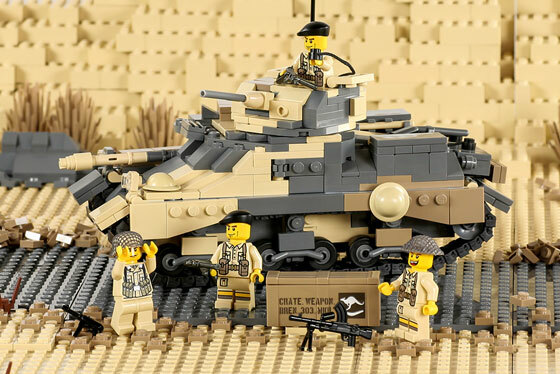 At the outbreak of World War Two, the US Army’s tank force was woefully unequipped to handle the latest European tank developments. The existing American tanks (M1 and M2) were inadequately armed and armored compared to the German panzer forces that had swept across Europe in the early months of the war. Facing the very real possibility of being pulled into a European conflict and under pressure to supply material to the beleaguered British army, an urgent call for a more powerful new tank was issued. American industry heeded the call and began work on a tough new tank design with heavier armor and a 75 mm main gun. This new tank would eventually be known as the M4 Sherman medium tank, a complex and powerful tank that would take years to design and produce. In the meantime the M3 medium tank was rushed into production, mounting a 75mm main gun in an antiquated hull-mounted sponson. The M3 also has a 37mm high-velocity anti-tank gun in a turret mounted offset to the left top of the bulky hull. There was an additional commander’s cupola with a 30 cal. 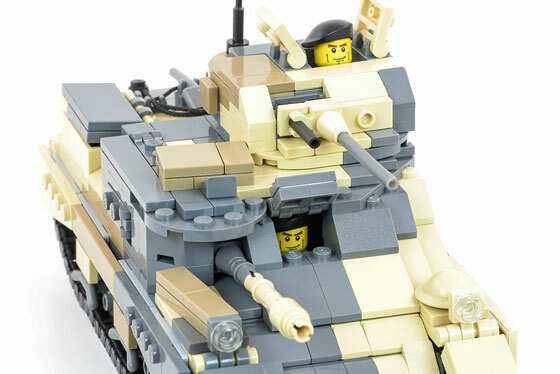 machine gun mounted on top of the 37mm gun turret (giving a turret on turret effect). Both variants of the M3 played a pivotal role in the North Africa campaigns. While mounting of the 75mm gun low in the hull and the over-all high silhouette of the tank had many disadvantages, the M3 proved itself effective and reliable on the battlefield. For a brief time the M3’s 75mm gun dominated battlefields verses the German Panzer III and Panzer IV tanks. Field Marshall Bernard Montgomery concluded his successful route of the German and Italian armies in North Africa while riding in a M3 Grant (it is preserved today in London’s Imperial War Museum). Unfortunately, the M3’s battlefield dominance proved short lived as Germany up-gunned their own tanks and developed the more powerful Tiger and Panther tanks. By 1943 the M3 was declared obsolete and was phased out of service in the European theater as the M4 Sherman became available in large numbers. The M3 continued service in the Pacific theatre until the end of World War Two, where it proved effective against infantry and the diminutive Japanese tank forces. Although the design was greatly flawed and out of date, the M3 proved to be a satisfactory interim solution for American and British needs, with more than 6000 being produced between August 1941 and December 1942. All Brickmania model kits are made of new-condition elements from LEGO and BrickArms. This model comes disassembled, includes printed building instructions, and comes packaged in a sealed box. 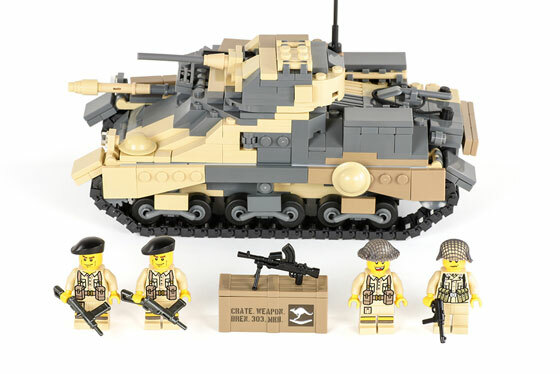 Upgrades to the M3 Grant Medium Tank Kit Available while supplies last. This entry was posted by korthwein.